Mannequins Online presents this beautiful display mannequin hands. This is a man’s display woden articulated hand. It is fixed on a square metal base whose height is easily adjustable. 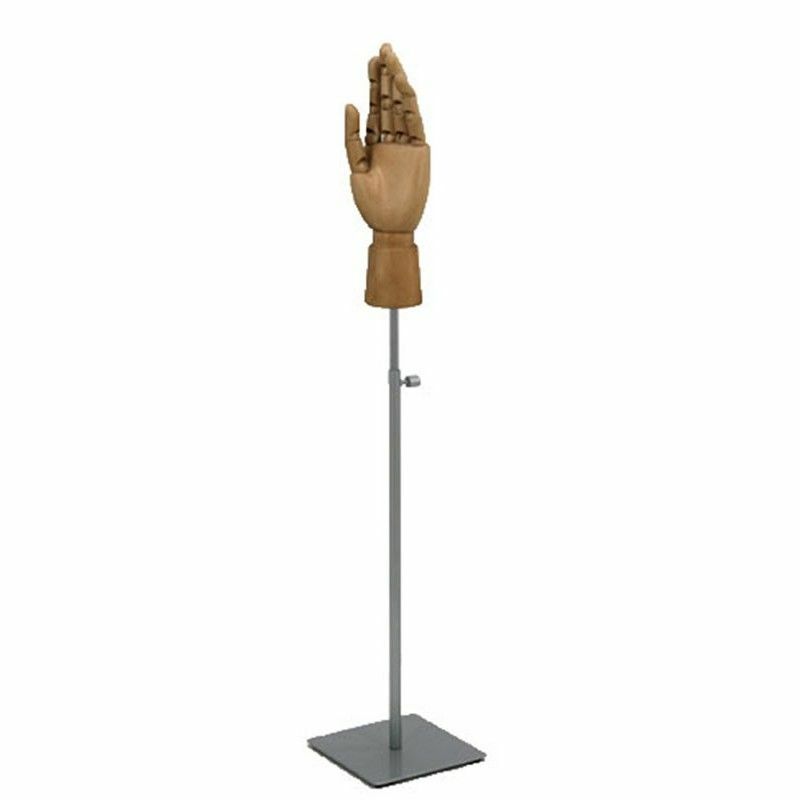 Light wood, this diplay wooden hand will fit any kind of showcase and shop. It is wonderful to showcase your accessories for men. Please contact us for more information about this man’s displayt hand. Nice display with hands shaped. Fixed on a square metal base whose height is easily adjustable. Available delivery. Do not hesitate to contact us for more information about this man’s hand. The size of the hand is 26 cm.